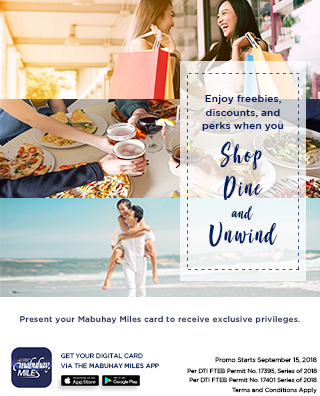 Promotion is open to Mabuhay Miles Classic, Elite, Premier Elite and Million Miler members. Discount can be availed from January 15, 2019 to December 31, 2019 only. Per DTI FTEB Permit No. 0188, Series of 2019.